for that is just the place and time… that the tide will turn." Through the lives of 5 individuals, this production explores how the legalisation of Euthanasia would affect society, in particular those who are most vulnerable: the disabled, the elderly and those who are chronically ill. Done in association with the Euthanasia Prevention Coalition, this powerful documentary looks at the concepts of compassion, dignity, quality of life, personal autonomy and choice, and explores how the law works in shaping a society. The documentary includes Canadian disability rights activist, Catherine Frazee and Palliative Care Nurse Consultant, Jean Echlin, as well as Wesley Smith, attorney for the International Task Force Against Euthanasia and Assisted Suicide and Terri Schiavo's brother, Bobby Schindler. "I will give no deadly medicine to any one if asked, nor suggest any such counsel." Co-director, Ryerson RBC Institute for Disability Studies Research and Education and former chair of the Ontario Human Rights Commission. Assisted suicide is to knowingly the means for a person to kill him or herself. Euthanasia is to intentionally cause death by action or omission of an action, for allegedly merciful reasons. First, can I say that working on Turning the Tide, has been a great pleasure, not just because of the invaluable knowledge I've acquired, but also in terms of personal development as a filmmaker. I owe much gratitude to the wonderful people without whom this project would not have been possible, most notably, Alex, Perry and Dr. deVeber from the EPC and of course the wonderful people who lent their voices, experiences and insights to the project: Catherine Frazee, Adrian and Karen Dieleman, Jean Echlin, Wesley Smith, Bobby Schindler, Reg Hancock and Daryl Thomas. Without them, I am certain that this project would not be what it is. Now, let me tell you a bit about why I think it was important to make Turning the Tide. In June 2005, Francine Lalonde, Bloc Québecois MP for Pointe-de-l'Île, Québec, introduced Bill C-407 that would change the Canadian criminal code and legalise euthanasia and assisted suicide in Canada. The bill had some problems with it and was not passed, but Ms. Lalonde, re-elected in 2006, has promised to reintroduce her bill. In Canada, currently, Euthanasia is considered murder and the law provides for a maximum of 14 years in prison for cases of assisted suicide. The notion that euthanasia and/or assisted suicide can be a reality for us in Canada should come as a wake up call to all Canadians, not just because of the notion that all life is sacred from conception to natural death, but simply because of whom such a law would affect most, the most vulnerable: the chronically ill, who are a strain on the health care system; the elderly who have been abandoned and who have no one to speak on their behalf, and who feel they may be a burden to others; and the disabled who have to fight every day to maintain their own integrity and dignity. The idea that killing can be the solution to human suffering is a very dangerous one; one that can soon lead us into a society where killing, for any reason and under any circumstance can be an acceptable action. The notion that a law can be drafted with the proper safeguards in order to protect the most vulnerable is also flawed. As Disability Rights Activist and former Chair of the Ontario Human Rights Commission, Catherine Frazee puts it in Turning the Tide: "It's not just about the particularities of a law and what it prevents and what it prohibits. It's much more about the messages of the law and how those messages get translated into a social and cultural order." 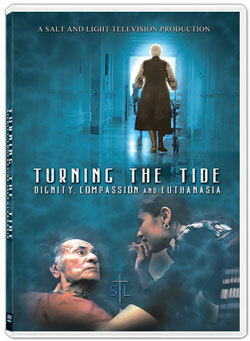 Turning the Tide looks at all aspects of the Euthanasia and the Assisted Suicide debate, from the point of view of those people who see themselves as most threatened if a law such as the one proposed by Ms. Lalonde is passed. I don't believe that most people who think that Euthanasia and Assisted Suicide should be legal are really thinking the whole issue through completely. They are thinking about personal autonomy and choice. They think about what it would be like to suddenly become incapacitated and consider such a life as undignified or worthless. Perhaps they consider severely disabled people as having no quality of life. Well, we know that our dignity and quality of life doesn't come from what we can or cannot do. It comes from a deeper place; it comes from who we are and how we relate to each other. In 1984, in the Netherlands, Euthanasia was declared legal when certain conditions were met. Even though about 2,400 cases of euthanasia and assisted suicide are reported each year, the Dutch government conducted a study in 1991 that found there were up to 12,000 cases that year. Of these, about half the patients did not request or consent to being killed. One of the doctors explained that it would have been "rude" to discuss the matter with the patients, as they all "knew that their conditions were incurable". 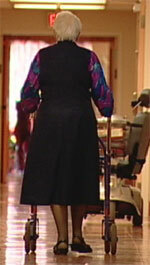 Belgium legalised Euthanasia in 2002. That year, 204 people were reported to be killed. In 2006, 444 people were reported to be were killed. In 2005 the Belgian government acknowledged that approximately half of all euthanasia deaths are not reported. 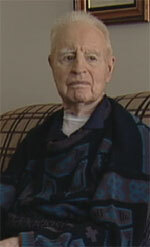 In Oregon physician-assisted suicide was legalised in 1997. 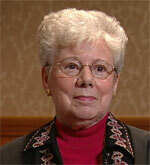 In 1998, there were 16 reported assisted suicide deaths. In 2005, there were 36. Turning the Tide proposes that true compassion is the only way to handle human suffering. We are blessed in Canada to have a superb health-care system. We complain about it, but trust me, very few countries can boast to having the universal system that we have. Many, many Canadians have access to good end-of-life care. Yes, it can be better. Yes, we need more resources and more money, but the resources and money need to go there: to palliative care programs. What Canadians need is better care and compassion at the bedside, not killing. In view of what has happened in other countries, documentaries such as Turning The Tide, which give a voice to the most vulnerable, who so often are silenced in our society, (despite our claims to be a "liberal" society) are more than important; they are necessary. "It is not up to the doctor whether life is happy or unhappy, worthwhile or not, and should he incorporate these perspectives into his trade, the doctor could well become the most dangerous person in the state." Fr. 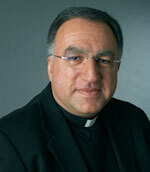 Thomas Rosica, CSB is the Executive Producer of Turning the Tide and the Chief Executive Officer of Salt and Light Catholic Media Foundation. When people today speak about a "good death," they usually refer to an attempt to control the end of one's life, even through physician-assisted suicide or euthanasia. The Christian notion of a good death, however, is death not as a good end, but a good transition, that requires faith, proper acceptance and readiness. The Terri Schiavo case is a tragic example of the moral and legal confusions that govern how we care for those who cannot speak for themselves, especially those whose lives might seem less than fully human. And so we have a responsibility to confront what has happened and why – especially if we are to understand our moral obligation as caregivers for incapacitated persons, and our civic obligation to protect those who lack the capacity to express their will but are still human, still living, and still deserving of equal protection under the law. What is wrong with abortion, euthanasia, embryo selection, and embryonic research is not the motives of those who carry them out. So often, those motives are, on the surface, compassionate: to protect a child from being unwanted, to end pain and suffering, to help a child with a life-threatening disease. But in all these cases, the terrible truth is that it is the strong who decide the fate of the weak; human beings therefore become instruments in the hands of other human beings. 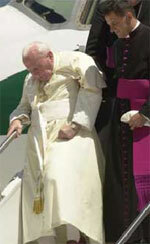 Pope John Paul II showed us true dignity in the face of death. Rather than hide his infirmities, as most public figures do, he let the whole world see what he went through in the final phase of his life. Before the cameras, John Paul II taught that although science can ease discomfort, palliative care should not be used as a cloak to hide the fact of dying. As the curtain was about to fall, nothing made him waver, even the debilitating sickness hidden under the glazed Parkinsonian mask, and ultimately his inability to speak and move. In our youth-obsessed culture, Pope John Paul II reminded us that aging and suffering are a natural part of being human. Where the old and infirm are so easily put in homes and forgotten, the pope was a powerful reminder that the sick, the handicapped and the dying have great value. John Paul II taught us there was much more to the papacy than speaking, writing, greeting people and traveling -- although he certainly did all of that. He taught us how to live, suffer and die. The stories of the saints highlight the moment of death and their certainty that they are going to heaven. John Paul's last words were: "Let me go to the house of the Father." In the intimate setting of prayer, as mass was celebrated at the foot of his bed and the throngs of faithful sang below in St. Peter's Square, he died at 9:37 p.m. on April 2. We must never lose sight of the atrocities against the unborn, the untold and too- seldom spoken of pain and lingering anguish experienced by those who have been involved in abortions. Nor can we ignore the other great challenge faced by humanity today--the serious question of mercy killing, or euthanasia as it is sometimes called, no longer found in abstract cases and theories. This issue strikes to the very core of who we are and what we believe. Even when not motivated by the refusal to be burdened with the life of someone who is suffering, euthanasia must be called a false and misguided mercy. True compassion leads to sharing another's pain, not killing the person whose suffering we cannot bear. To be actively pro-life is to contribute to the renewal of society through the promotion of the common good. It is impossible to further the common good without acknowledging and defending the right to life, upon which all the other inalienable rights of individuals are founded and from which they develop. There can be no true peace unless life is defended and promoted. Our Easter faith does not answer the thousand and one questions that our life poses. But it turns those questions around that one, magnificent fact: we are all worth it. All of us. If God died for all of us, it is not ours to decide who is fit to live. The best way to know if we are still in any way a Christian society is to see how we treat our most vulnerable people, the ones with little or no claim on public attention, the ones without beauty or strength or intelligence. Join us in the battle to preserve human life, from the earliest moments to the final moments, from womb to tomb, from conception to natural death. It is indeed a struggle in our age and in our land. Remember the words of Harriet Beecher Stowe: "When ... everything goes against you…never give up…for that is just the place and time…that the tide will turn. " May we all continue to live and preach that Gospel of life by our words and by our actions – as we value more and more life unborn, life unfulfilled, and life usurped in our own journeys towards life unending in the company of our Risen Lord Jesus Christ. Help turn the tide of times. Stand up for the gospel of life. My name is Teague. I am 11 years old and have really severe cerebral palsy. The Latimer case in Saskatchewan has caused me a great deal of unhappiness and worry over the past few weeks. I feel very strongly that all children are valuable and deserve to live full and complete lives. No one should make the decision of another person about whether their life is worth living or not. I have a friend who had CP and he decided that life was too hard and too painful. So he really let himself die. I knew he was leaving this world and letting himself dwell in the spiritual world. I told him that I understood that the spiritual world was really compelling, but that life was worth fighting for. I had to fight to live when I was very sick. The doctors said I wouldn't live long, but I knew I had so much to accomplish still. I have to fight pain all the time. When I was little life was pain, I couldn't remember no pain. My foster Mom Cara helped me learn to manage and control my pain. Now my life is so full of joy. There isn't time enough in the day for me to learn and experience all I wish to. I have a family and many friends who love me. I have a world of knowledge to discover. I have so much to give. I can't walk or talk or feed myself. By I am not "suffering from cerebral palsy". I use a wheel chair, but I am not "confined to a wheelchair". I have pain, but I do not need to be "put out of my misery". My body is not my enemy. It is that which allows me to enjoy Mozart, experience Shakespeare, savor a bouillabaisse feast and cuddle my Mom. Life is a precious gift. It belongs to the person to whom it was given. Not to her parents, nor to the state. Tracy's life was hers "to make of it what she could". My life is going to be astounding. The completion of this project was made possible by a generous grant from Mr. and Mrs. Robert Chisholm and the Supreme Council of the Knights of Columbus.